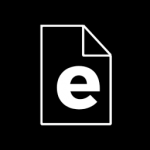 eForms.com provides users with an extensive library of printable legal document templates. It offers access to bill of sale forms, simple loan agreements, last will and testaments, eviction notice forms, and more. In this article, we cover user reviews and pricing. Ready to get started with eForms.com? Get a free trial. Users who gave eForms.com a positive review said that the software is easy to use. Some of them also shared that almost all the forms they could possibly need for legal use are available in the platform. A user who left a positive review of eForms.com on Trustpilot said that she used it to write a will and the forms contained exactly what she needed. She added that the pricing is quite affordable. Users who gave eForms.com a negative review mentioned that not all forms may be valid for legal use. Some of them also complained that the free trial’s terms and conditions are misleading. A user who left a negative review of eForms.com on Trustpilot said that the software contains erroneous templates and some fields did not appear in the final document. According to her, eForms.com is not good enough for legal use as it can only help test out ideas before consulting a legitimate lawyer. eForms.com offers three pricing plans: Trial ($0 for 7 days, $15/month after), Single Document ($45 one-time fee), and Annual ($120/year). The main differences between the plans include the number of documents and the duration of file access. *The annual plan is paid in full at the start of the billing cycle. Ready to get started with eForms.com? Get a free trial. Can users have immediate access to legal documents from the eForms.com platform? Yes. However, users must have to pick a state first before they can be given the form that they need. There may be regional factors that affect the validity of any legal form. Users have to choose which state the forms will be used in to ensure that the document will be accepted in their local court. Can users apply to become affiliate members of eForms.com? Yes. Users can apply to become an eForms.com partner. The benefits, if approved, include a 35% commission for every referral and another 35% commission for every renewal thereafter. Not sure if eForms.com is the right fit for you? Read our reviews of top legal service software. Disclaimer: The following information was provided by eForms and does not necessarily reflect the views of FitSmallBusiness.com. eForms is the largest online free document library. In addition, eForms also has a sophisticated fillable forms service that allows users to create custom agreements online for a fee ($15/month). Subscribers get the added benefit of having their forms “locked” in storage, so no matter what happens to their computer or device, it’s safely stored online with eForms. eForms announced on January 1, 2019 that they will be adding a proprietary digital signature solution to their services by the end of the calendar year. This service will not come at a price increase to current subscribers. What makes eForms stand out from the competition? Largest library of documents for FREE. No gimmicks or email requirements. Free Documents are State-specific and formed in accordance with local laws. Fillable Forms solution is cheaper than RocketLawyer, LegalZoom, or LawDepot. Longest Customer Service hours in the industry (and yes! humans answer!). Their customer service is excellent. You actually get a human on the phone to help you right away and they are extremley helpful and knowledgeable. I downloaded a lease for a rental property and it was super easy to fill out and download for use. Wish I had known that I couldn’t see the document until I filled everything out .